You may have noticed it’s been rather quiet over here at Lovely Interiors. 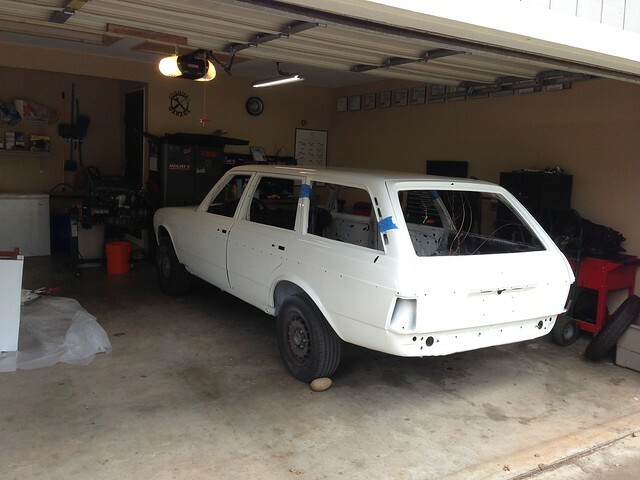 Well, working on the house has somewhat been put on hold in order to work on a bigger, more important project: getting my husband’s car back on the road. 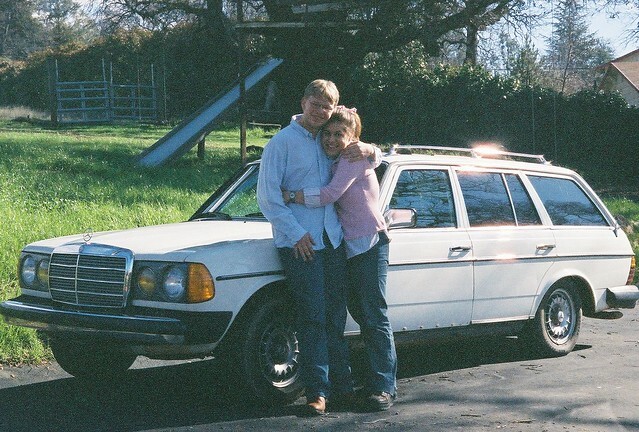 When Joshua and I began dating in 2004, we spent our time mostly in his 1985 300TDT Mercedes-Benz Station Wagon. Our dates usually consisted of mini road trips around Northern California. Needless to say we have a lot of memories in this car. 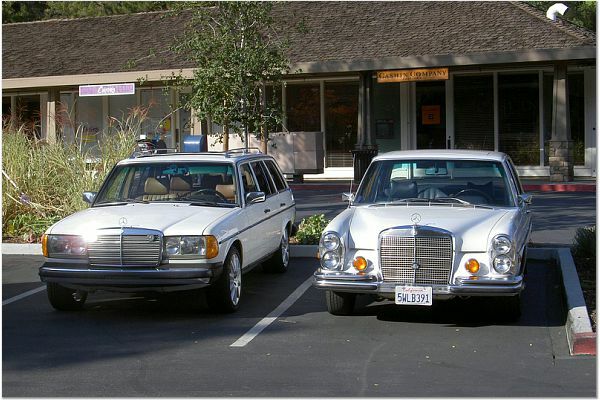 and took us on several MBCA First Sunday Drives. It quit for good on us in April of 2008, and it was then Joshua decided to turn it into a restoration project, one that would take five years to complete. 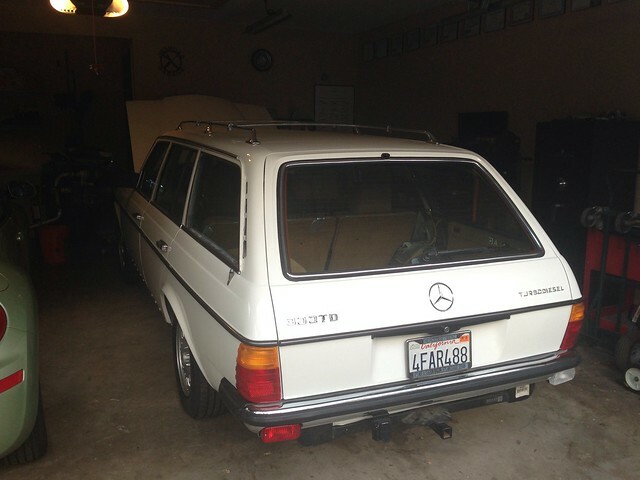 We were able to take our time with it since Joshua got a truck and wasn’t dependent on the Benz as his daily driver. 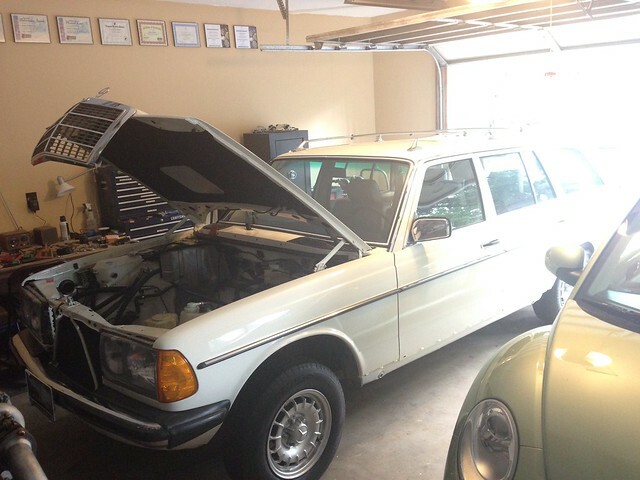 When the transmission in the truck was on its way out at the end of last year, we made the decision to sell it to pay for the Benz’s paint job and get the car completed. 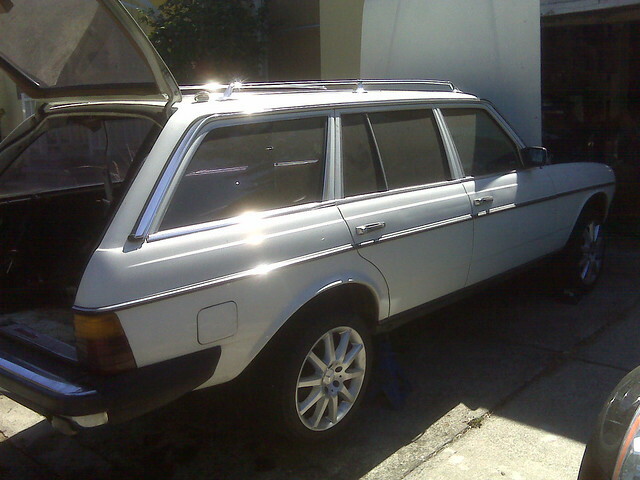 Meanwhile Joshua acquired a beat-up old Kia from his dad to hold him over until the Benz is complete. 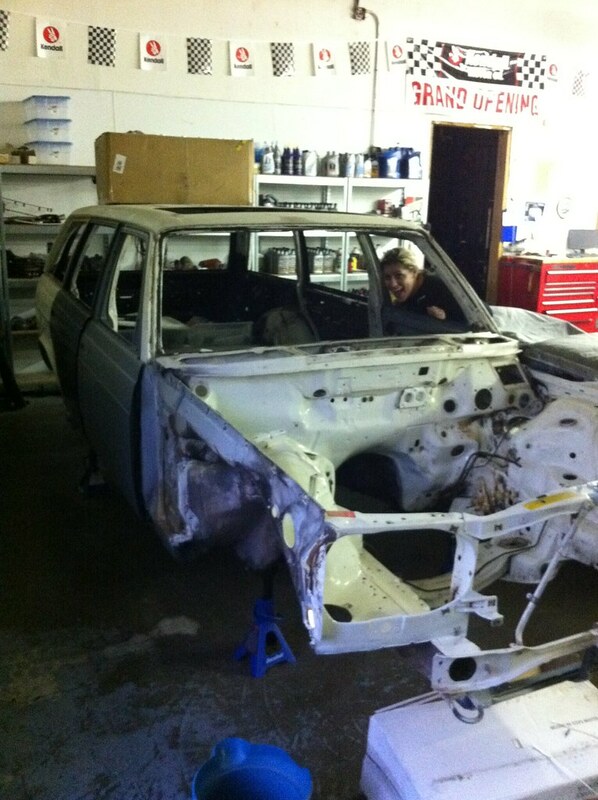 Now all that’s left is the AC kit and putting in the engine/transmission. 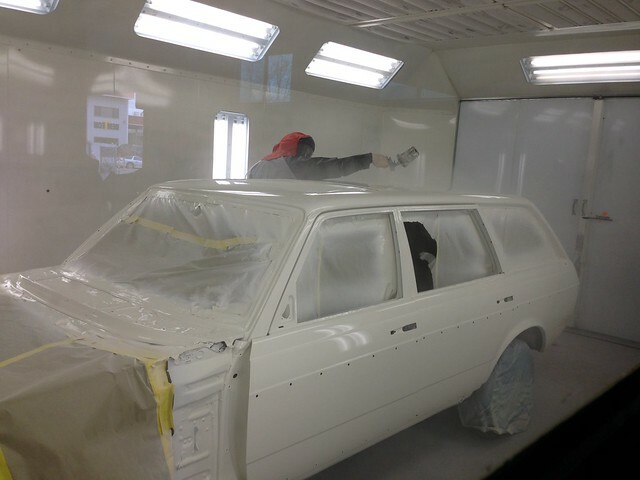 Crossing our fingers that by the end of this week we’ll be able to take her out on the first test drive! Holy crow! 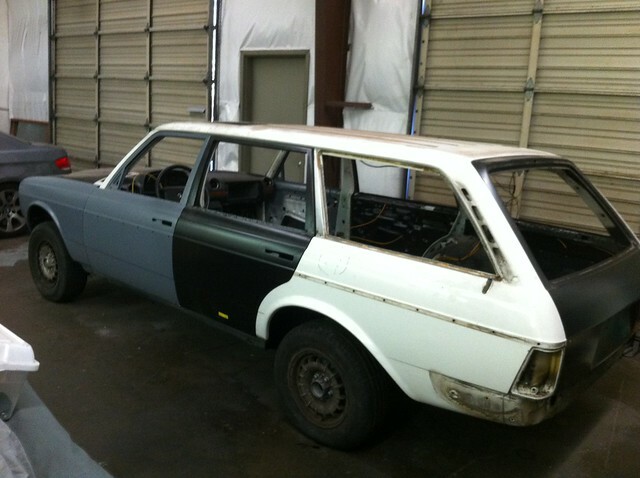 That really is quite the restoration project. 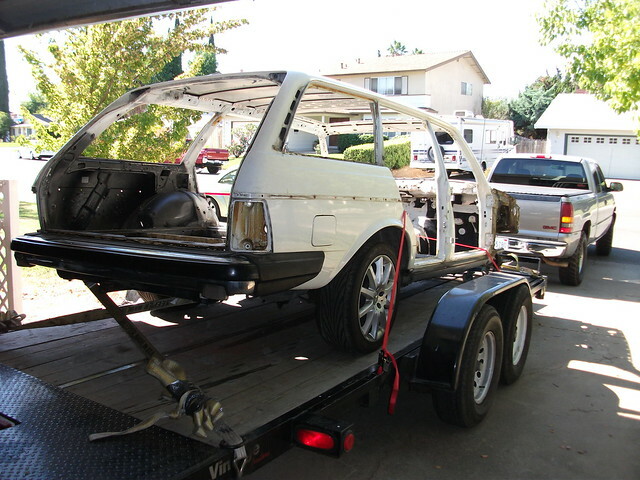 I am shocked that a car can look so bare and yet will be able to run again. Very impressive. Does Joshua do all the restoration himself?